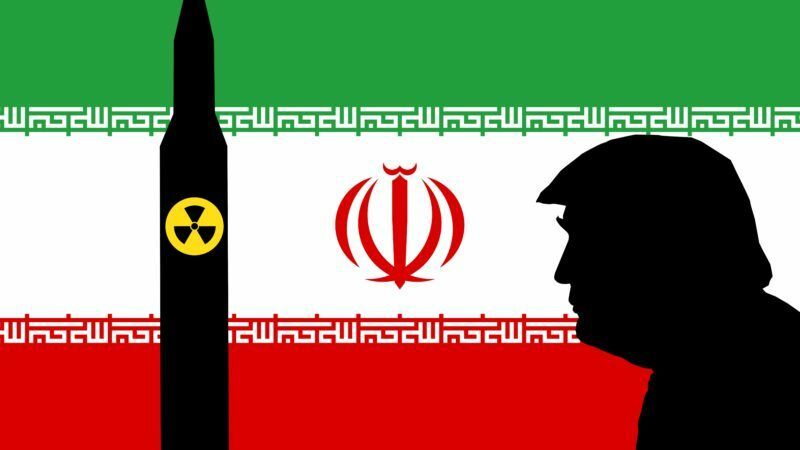 Europe must guide Donald Trump to ensure he does not do any further damage to the multilateral agreement to curb Iran’s nuclear programme. The deal has its flaws and has not stopped the Iranian regime from acting in disagreeable ways. But it is doing what it set out to achieve. In July 2015, after almost two years of delicate negotiations, China, France, Russia, the UK, US and Germany and the EU –known as the P5+1—congratulated themselves on agreeing the Joint Comprehensive plan of Action (JCPOA) with Tehran to curb Iran’s nuclear program in exchange for relief from nuclear-related economic sanctions. After criticising the Iran agreement during his election campaign, Trump followed through in October with a move to ‘decertify’ Iranian compliance – much to the irritation of the other signatories. He accused Iran of ‘multiple violations of the nuclear agreement’ – contradicting regular assessments by the International Atomic Energy Agency (IAEA), which monitors the deal. Tehran has pushed at the agreement’s limits on the number of centrifuges and the amount of heavy water it could possess, but the JCPOA’s Joint Commission promptly resolved these issues – they did not constitute violations. Trump has given the US Congress until mid-December to decide whether to re-impose sanctions on Tehran – though he has urged the house to ‘fix’ the deal. While Trump’s move has not killed the agreement outright, it is a serious blow. If the US renewed nuclear-related economic sanctions on Iran it would almost certainly represent a coup de grace for the JCPOA – even if the other signatories didn’t follow suit. To keep Iran in the deal, Europe, Russia and China would have to offer Tehran concessions large enough to offset the renewed US sanctions. That might include blocking EU-based companies from complying with the US sanctions or providing credit lines for companies wishing to do business with Iran. But these measures would be unlikely to cover the damage to investor confidence from renewed US sanctions. Even if Congress does not impose sanctions, Trump has seriously compromised the nuclear deal. The decision to decertify means investors are more likely to avoid Iran, undermining one of the key economic benefits of the agreement. Trump may also refuse to renew the sanctions waivers – with the next decision on this due in January. And there are plenty of opponents in Congress that will now have been emboldened to torpedo the deal in the future. Critics of the Iran deal miss the point. Yes, Iran’s foreign policy remains as destabilizing to the region as it was prior to entering the deal. Yes, the nuclear deal does not prevent Tehran from trying to develop ballistic missiles that could be fitted with nuclear warheads. And many of the JCPOA’s provisions that limit Iran’s uranium enrichment expire 10 to 15 years from 2016, leaving a question mark over what will happen then. But the alternative to the JCPOA is not a better deal that addresses these issues: it’s no deal at all – meaning full throttled resumption of Iran’s nuclear programme. The EU should try to convince Trump that while the nuclear agreement does not address every challenge posed by Iran it is a precondition to doing so. It should be expanded upon, not jettisoned. Europe should steer the US, China and Russia towards fresh talks with Iran to eliminate ambiguities from the JCPOA, such as clarifying the IAEA’s powers in monitoring Iran’s military sites and its possible nuclear development research activities. IAEA Director Amano has said the Agency’s tools in this regard were ‘limited’. The EU and the US should also develop a common approach to Iran’s missile development programme through talks with Tehran outside the JCPOA framework. This could also serve as a useful forum for discussing regional security issues. Iran would be asked to continue to restrict its nuclear activities, in exchange for no snapback of sanctions removed with the JCPOA, relief from remaining US sanctions, and increased Western efforts to support companies to do business with Iran. North Korea has fired another ballistic missile, stirring up tensions in the region and drawing fresh condemnation from South Korea to the US. Does Washington really want to contend with a resumption of Iran’s nuclear program too? Trump prides himself on being a deal-maker. The EU should try and convince him that the best way to engage with Iran is not to break existing agreements but to build on them.